The spice that is typically used in the different curries could help the ability of the brain to heal itself, said new research in Germany out of the Institute of Medicine and Neuroscience. The findings of the new research, which were published this week in the Stem Cell Research journal, suggest a compound that is found in turmeric could help stimulate growth of certain nerve cells, which previously discovered as part of the internal repair kit of the brain. Scientists said the new research in which the lab rats were given turmeric, could lead to treatments for conditions such as Alzheimer’s disease and strokes. Researchers injected lab rats with a compound containing turmeric and scanned the brains of each, where certain parts of the brain were seen to have more activity following the infusion of the turmeric compound. Scientists thus deduced that the compound could encourage a proliferation of cells in the brain. 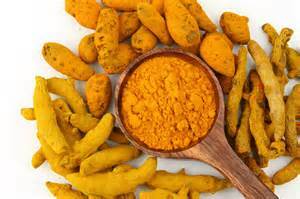 Then another part of this trial saw researchers bath rodent neural stem cells into different turmeric compound concentrations. Neural stem cells can transform into any form of brain cell, therefore scientists believe that they play a huge role in the regeneration of cell repair following disease or damage. However, one of the researchers observed that in both humans as well as higher developed animals, their abilities do not look to be sufficient enough to repair the complexities of the brain, but in smaller animals including fish they work well. Regardless said the researcher it is interesting there is the possibility to boost effectiveness of stem cells with the aromatic-turmerone compound. It is also possible this could in turn help to increase repair in the brain. These results from the study still do not answer all the questions about whether research of this kind would translate over to humans, or if the ability to make new brain cells would benefit those with Alzheimer’s disease. More studies were needed said researchers to better understand the effects of this compound and in the context of such complex diseases such as Alzheimer’s.